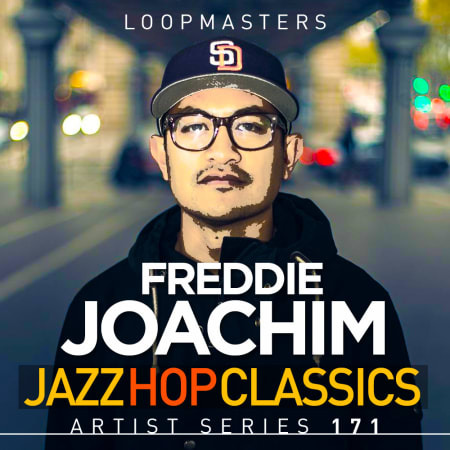 'Freddie Joachim: Jazz Hop Classics' includes 1.49 GB of content with an astonishingly unique sound, featuring loops, one-shots and sampler patches lovingly produced with a devastating impact and melodic energy. Combining the best of the hardware and software world, Freddie brings blissful instruments and the best sounding drums on the scene. This hugely atmospheric sample pack features flutes, horns, strings, grand piano, Classic Electric Piano, guitars, Classic Electric Piano, Moogs and more. Crammed into this stunning selection is an inspirational array of one-shot samples featuring bass, drums, FX and musical shots to trigger in your DAW. Used with the accompanying 73 sampler patches, which include storming pre-made drum Kits, these samples will delight your ear drums for a long time to come. Freddie has even thrown in some MIDI loops to give you a creative kick start. Freddie says: 'This sample pack is heavily influenced by the music I grew up listening to and contains elements from Jazz, Soul and Hip Hop. I created a collection of sounds that I would normally sample, with classic Hip Hop Drums, Breaks and sub-style Basses which all incorporate my own flavour. This sample pack is great for those after that Jazzy Soulful type feeling and for fans of my unique drum styling'. 'Freddie Joachim: Jazz Hop Classics' features the sounds of the Yamaha MX49, Mini Moog Analogue Synth, Akai MPC1000, Reason, Korg MS-20, Ableton with Push 2 and more, along with various live percussion and acoustic drums. This is a definitive time capsule of sounds, sure to become your go-to Hip Hop sample collection. Download the free taster pack and check out the demo to find out more.